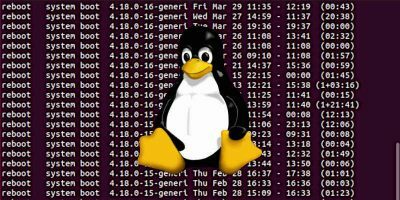 Almost every tutorial on how to install the LAMP stack (Linux, Apache, MySQL, PHP) will recommend that you use the built-in Apache module for processing PHP scripts. 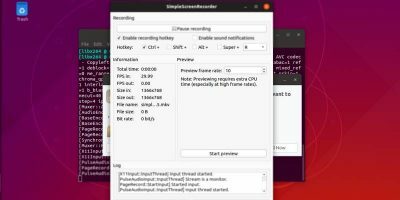 For example, in Ubuntu you would enable this when you use a command such as sudo apt install libapache2-mod-phpto install a package. This would in turn force Apache to use mpm_prefork. 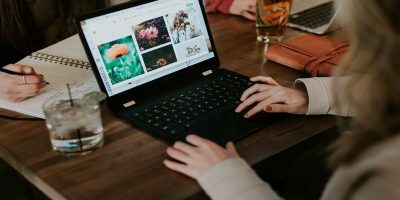 Every time a visitor accesses your website, a new process will be launched to handle that connection. This works well when traffic is low. But, it becomes a huge issue if you get a sudden burst of traffic. For example, a Reddit post may include your website, and if the post gets popular, you may get thousands of visitors in just a few minutes. 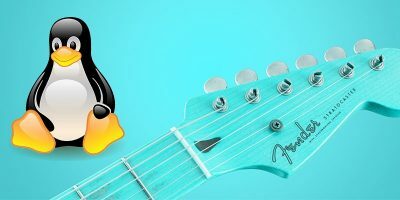 In a best case scenario, if Apache is able to handle the traffic burst, some unlucky visitors may have to wait perhaps thirty to sixty seconds until the page is loaded, which is absurd in today’s world. 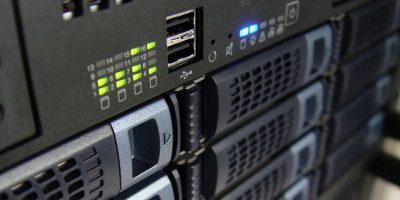 In a worst case scenario, the server will start to lag badly, and some connections will be simply dropped because of lack of resources. In this case visitors will see an error in their browsers. It’s not a good scenario either way, since you potentially lost the attention of hundreds or thousands of interested readers, customers or fans. Unfortunately, PHP is a pretty big resource hog either way. But, with mpm_event, Apache can handle sudden bursts of traffic in a much more efficient way. 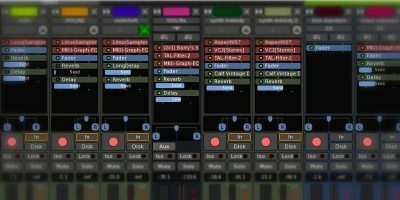 It’s recommended, though, that your server have at least 2GB of RAM and 2 CPU cores, real or virtual, and even more if you expect to have intense traffic spikes, such as more than ten visitors per second. If you’re using a virtual private server, add more virtual CPU cores to your situation and SSD storage. RAM is secondary. On Debian, Ubuntu or other distros from this family simply avoid installing the “libapache2-mod-php” package. When you install Apache it uses MPM event by default. 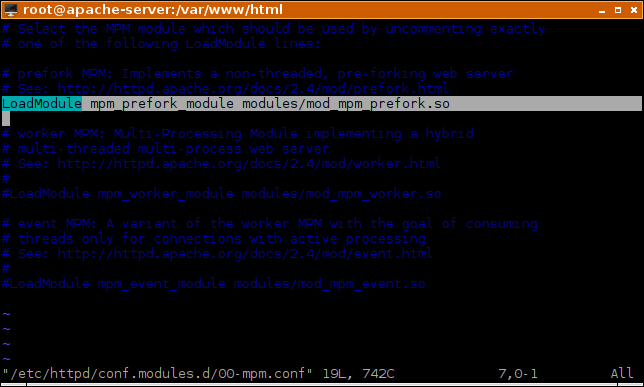 But upon installing the mentioned package, a script disables MPM event and enables MPM prefork. The Apache PHP module can only work (safely) with mpm_prefork. Of course, without “libapache2-mod-php,” you have no processor for PHP files. 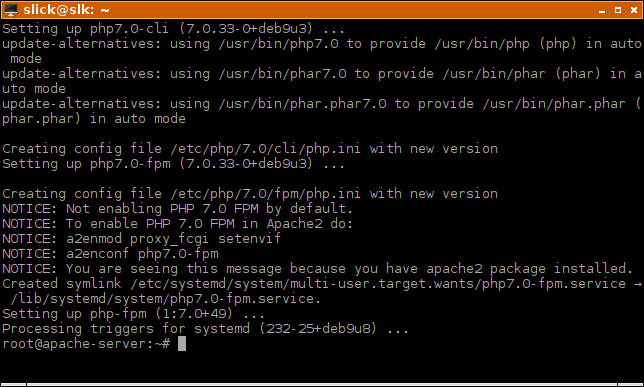 So you will use PHP-FPM instead of the PHP module included in Apache. Here is how you would install a LAMP stack on a fresh server. You can adapt the steps according to your web application’s requirements. First, log in as root. Then, install Apache. 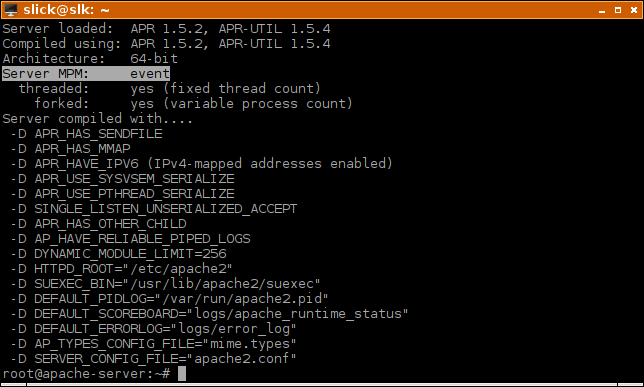 At this point you can see that Apache does indeed ship with MPM event enabled by default. You will see instructions on how to enable the PHP processor in Apache. Enable PHP-FPM default configuration for Apache. Note: in future versions of Debian/Ubuntu, this command could change to something else, e.g. a2enconf php7.6-fpm, because PHP-FPM would be a different version. This would install a database server and the PHP MySQL module so that your PHP application can connect to a database. 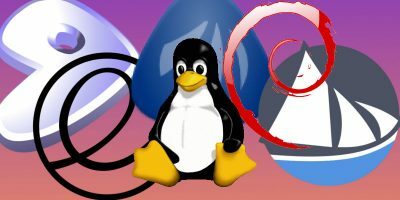 The other popular server distribution choice is RedHat, or CentOS. 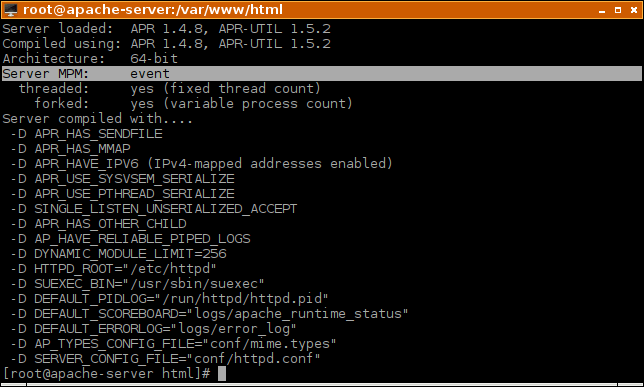 In the same way as above, an example of a clean install of Apache with MPM event enabled and PHP-FPM will be offered. Log in as root and install Apache. Unlike Debian-based distros, here you will see that Apache uses MPM prefork by default, at least on the latest CentOS 7 available at the time of writing. To enable MPM event, you have to edit a configuration file. This will add a # sign to comment (inactivate) the line LoadModule mpm_prefork_module modules/mod_mpm_prefork.so. Now uncomment (activate) the line #LoadModule mpm_event_module modules/mod_mpm_event.so by removing the preceding # sign with the next command. 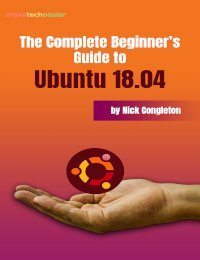 Start Apache and enable it to autostart at boot. Check if Apache now uses MPM event. Install PHP-FPM and FastCGI module. Create “/etc/httpd/conf.d/php.conf” to instruct Apache on how to process PHP files. 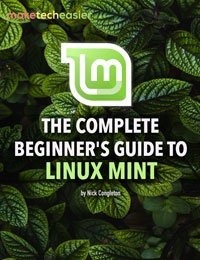 Copy ALL content below, and paste it all at once in the terminal, then press ENTER. 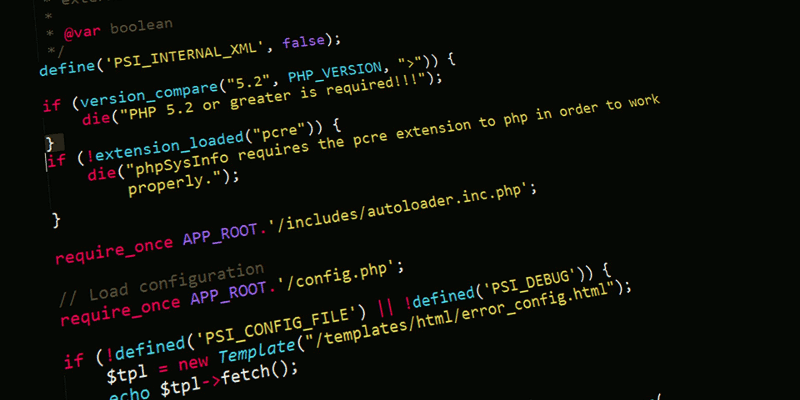 But this is vulnerable to some attacks, and if certain services fail, you may expose PHP files to the public, in turn potentially exposing stored passwords, code and sensitive data. 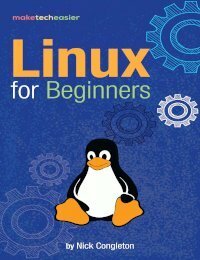 Start PHP-FPM and enable its autostart at boot. You now have an Apache server that scales much better with traffic. However, remember that you’re using the default settings, as in what’s “best” for most people. If you really want to get the most out of your HTTP server, you have to read about various variables you can tune. The right values for these are highly dependent on your server’s resources, expected traffic and PHP application.